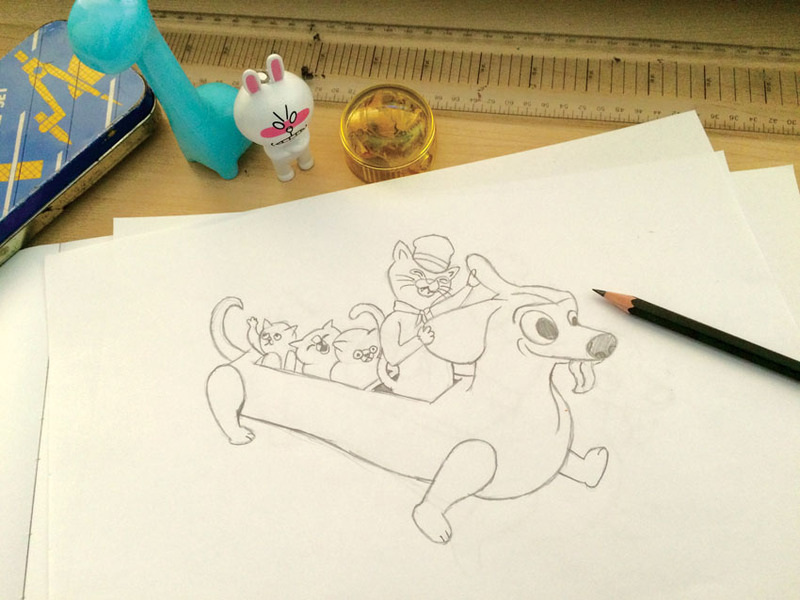 Here's a sketch of a new piece I'm working on called The Dachshund Express, I'm still working on the demeanors of the kitty passengers. The thought for this one came from a trip this summer to Tokyo. My friend and I came across a tiny amusement park jam-packed with rides, I think if all the rides were running at the same time they would have been grinding into one another. You can see a dachshund bench in there.